This is a question that all patent applicants must answer before filing a patent application. However, applicants often answer the question without fully understanding the criteria for “inventorship.” Applicants often simply presume that the inventors listed on an invention disclosure, or the authors of a publication, will be the inventors. This is not necessarily the case, since inventors of an invention and the authors of a document can be (and often are) different. The consequences of failing to correctly identify the inventors in a patent application can be severe. If an inventor was omitted, the assignee of record may not be the sole owner of the patent rights. In addition, an incorrect inventor list also may result in an invalid patent. Although inventorship can be corrected after a patent application is filed, and even after the patent grants, it’s much easier to get it right in the first place by answering a few key questions before filing the patent application. Participating in conception of the invention is the key. Anyone who contributed to the conception of the invention is an inventor. In other words, anyone who suggested any of the steps or features listed in the claims is an inventor. In contrast, a person who did not help conceive the invention is not an inventor. For example, a person who merely identified the problem is not an inventor unless they also helped conceive the solution. In addition, a person who reduced the invention to practice without helping to conceive it is not an inventor. Omitting people who merely posed the problem, or who merely helped reduce an invention to practice from a patent application can be difficult, and may result in some bruised egos. For software-related inventions, the people who developed the design specification are typically inventors, but the people who actually created the code are typically not inventors since they merely reduced the design specification to practice. In life sciences, the individuals who specified the parameters for an experiment may be inventors, but the lab employees who actually performed the experiments are typically not inventors. In each of these cases, the coders and lab techs may have spent much more time and effort reducing the invention to practice than the inventors spent conceiving it. However, patent law rewards conception, which may not always equate to time spent or even level of difficulty of the work. A person can be an inventor even if his or her contribution is relatively small. In fact, a person will be an inventor even if he or she only contributed to one of the features of one of the patent application’s claims. 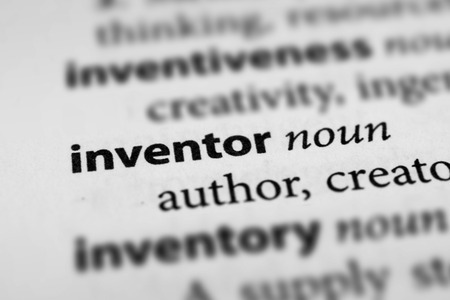 Because of this, it’s important to revisit the inventor list throughout the patent application process, in case claim amendments prompt a need to change the list of identified inventors.